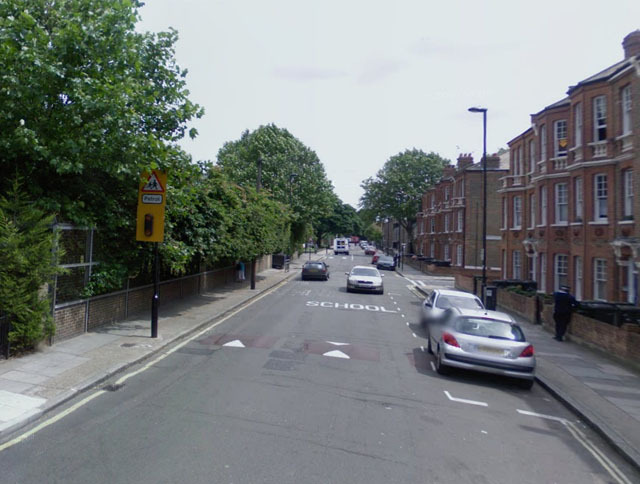 Please note Caldwell Street was called originally called Holland Street – see here. Therefore this pub was The Lord Holland of 31 Holland Street. I have been able to find out a little about this mysterious public house but not as much as I would have liked to have unearthed. Below you will find a table of occupants and some information about the pub’s location and what it looked like. I have used Census records, Kelly’s Directories and Post office Directories to come up with the table below. 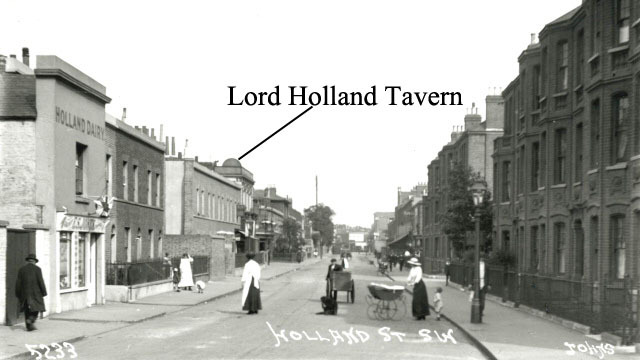 The first appearance I can find of this public house is in 1871, the last appearance in any directory I can find is 1921, by 1923 Kelly’s Directory lists 31 Holland Street as a Drapers and not a pub. 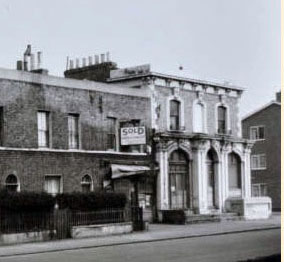 The property must have been fairly sizeable as at one point it housed the Landlord, his wife, a servant and three bar staff, fairly typical of a Victorian Public house. It seems that the pub was knocked down at some point after the late 1960’s. You can see that that the houses on the right look almost unaltered apart from the garden railings and a few chimney pots. The scene to the left is drastically altered, there now remain none of the buildings including The Lord Holland, instead there is a community centre garden and a five a side pitch. On a modern day map the pub would have stood here. You can see below that by zooming in on the top photograph that the pub was a fairly tall building with a raised decorative part to the roof. The above image shows part of Caldwell Street in 1967 – the Lord Holland is still standing to the far right of the photograph, it looks as though it has been altered since the previous photo taken in 1920. Chris, I have just come across your interesting site, interesting becaue I grew up in Morat St. in the 1950s. By that time the Lord Holland was occupied by “Blue Star Batteries” i used to pass it every day on the way to the Reay School. Thanks for getting in touch, it’s really interesting that you grew up in Morat Street and that Blue Star Batteries occupied the Lord Holland! 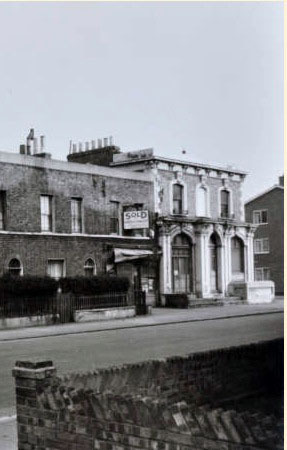 Did the building still resemble a pub then? It would be great if you could let me know anything else that you can remember about the streets on my site, especially Morat Street, Liberty Street, Hackford Road, Cranworth Gardens etc. Do you have any particular memories that you would like to share? I’m really interested in making the history of the area accessible for generations to come so anything you can share would be very much appreciated. I wrote yesterday. On thinking the bombsite was on the corner of Hackford Road and there was a small shop on the corner of St. Anns street. I’ll think about my memories and consult my sister and brothers before I send you more memories.